: Dr Cathal Gallagher and Dr Ciaran Byrne, Inland Fisheries Ireland, with Joe McHugh, Minister of State at the Department of Communications Energy and Natural Resources, and Cynthia Smith, Deputy Secretary, Department of Culture Arts and Leisure Northern Ireland at the 2nd International Sea Trout Symposium in Dundalk. Inland Fisheries Ireland (IFI) and Northern Ireland’s Department of Culture, Arts and Leisure (DCAL) have welcomed delegates to the second International Sea Trout Symposium, which took place from 20th to 22nd October in Dundalk. 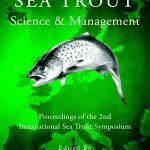 The Symposium’s key objective was to promote the wider application of an evidence-based approach to the future management and regulation of the sea trout. It also considered developments since the last symposium, held in 2004, and highlighted priorities for future investigation. 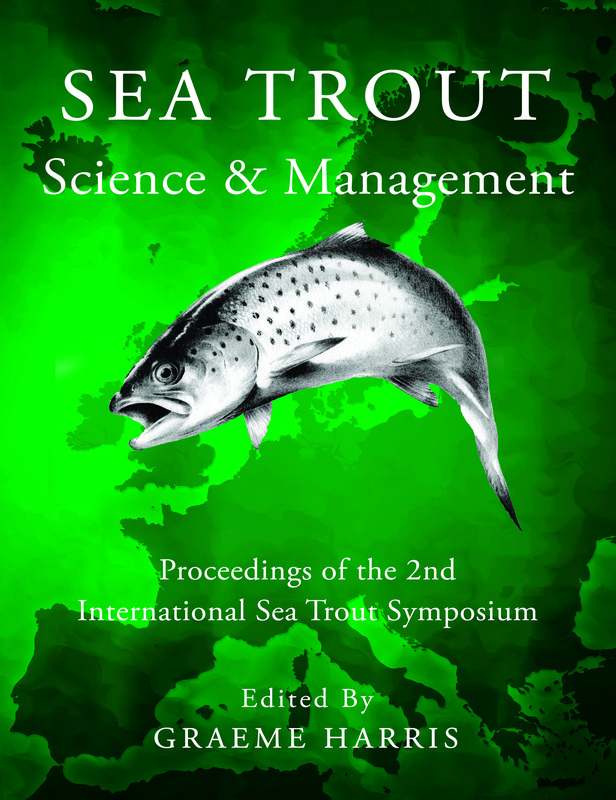 International scientists, managers and policy makers interested in the conservation and protection of the sea trout attended the conference. Sea trout is a valuable natural resource in Ireland, offering an exceptional angling experience to both tourists and locals. Irish fisheries managers are therefore very focused on the sustainable management, and, where required, the restoration of these valuable stocks. 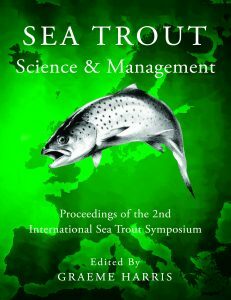 Outputs of the symposium will be used to develop national sea trout policies. Northern Ireland’s Minister for Culture, Arts and Leisure Carál Ní Chuilín, said: “Last year I brought in new legislation to protect both salmon and sea trout in our native rivers. All salmon and sea trout caught must be released back into the water, unless those rivers are meeting ‎their management targets. Denis Maher, Department of Communications Energy and Natural Resources, Dr Ciaran Byrne, Inland Fisheries Ireland, Cynthia Smith, Deputy Secretary, Department of Culture Arts and Leisure Northern Ireland, and Dr Cathal Gallagher, Inland Fisheries Ireland at the 2nd International Sea Trout Symposium in Dundalk. Joe McHugh TD, Minister of State at the Department of Communications, Energy and Natural Resources, commented:“I would like to compliment all the scientists, managers and fisheries stakeholders on their passion and enthusiasm in extending their knowledge and understanding of sea trout management and conservation. The presence of this iconic migrant, which leaves freshwater and wanders our coastal waters to feed heavily before returning to its natal streams to spawn, is considered by many as a very positive environmental indicator. I look to Inland Fisheries Ireland to ensure that sustainable management of sea trout is prioritised, and that the loss of sea trout populations, which has occurred in some areas, is halted. “I will work with Inland Fisheries Ireland to ensure that serious efforts are made to restore and conserve this valuable component of biodiversity in Ireland. I also applaud the north-south approach being taken in supporting science and management issues – this is required to ensure the future effective management of sea trout stocks. Inland Fisheries Ireland is a statutory body operating under the aegis of the Department of Communications, Energy and Natural Resources and was established under the Fisheries Act on 1st July 2010. Its principal function is the protection and conservation of the inland fisheries resource. IFI will promote, support, facilitate and advise the Minister on, the conservation, protection, management, development and improvement of inland fisheries, including sea angling and develop and advise the Minister on policy and national strategies relating to inland fisheries and sea angling. For more information visitwww.fisheriesireland.ie. Targeted at scientists, managers and other fishery stakeholder interests in the public and private sectors, the central aim is to promote the wider application of an evidence-based approach to the future management and regulation of the sea trout and to ensure that its often very special needs become fully integrated into catchment management plans and environmental impact assessments. Full 3-Day Delegate Package = €330 (includes Gala dinner and a copy of proceeding). Basic 3-day Delegate Package = €230. Daily Attendance Package = €70. Registration for the 2nd International Sea Trout Symposium is now open! The 2nd International Sea Trout Symposium will be held in Dundalk (Ireland) which is a pretty, historic town (charter granted in 1189) located in County Louth. The town’s name, which was historically written in Irish as Dún Dealgan (meaning Dalgan’s Stronghold), has associations with the mythical warrior Cú Chulainn. Dundalk has a long connection with sea trout as it is situated where the famous sea trout river, the Castletown River, flows into Dundalk Bay. The town is close to the border with Northern Ireland and equidistant from Dublin and Belfast. The 2nd International Sea Trout Symposium will take place in Dundalk, Ireland from 20th – 22nd October 2015. The Organisers now invite expressions of interest from prospective contributors in submitting papers (both oral and poster) to be considered for inclusion in the formal programme. At this preliminary stage, these should be limited to 300 words and include the following information: a) name, affiliation and contact details (telephone or e-mail) of the first author, b) a working title, c) a general outline of proposed scope and content of the main text and d) a statement of its relevance to future management. Each submission will be screened by the Editorial Panel. Please note that a formal abstract is not required at this stage. The author(s) of proposals accepted for inclusion in the final programme will be issued with further guidance on the preparation of abstracts, manuscripts and oral presentations. It is intended that papers presented at the Symposium will appear in a suitable peer-reviewed publication. Life History Variation & Population Dynamics. The Application of Advances in Science & Technology. For further help in the preparation of outline proposals, contact Dr Graeme Harris at fishskill@btinternet.com or by telephone on +44 (0)1874 730321.